Determined to make a flattering crochet sweater. My master instructor advised me to try a cardigan. 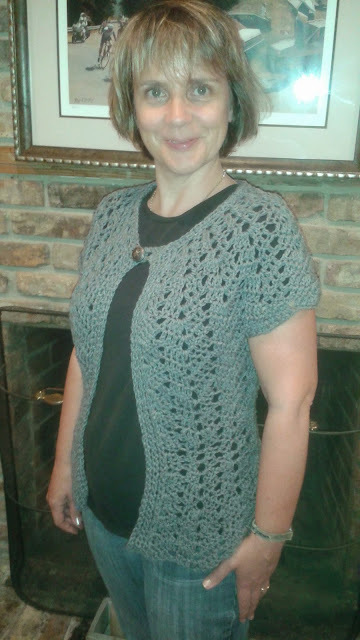 Found this free pattern on Ravelry by Milobo and love the final garment. Reduced the rate of increase on the yoke and decreased for the waist to make it more curvy. Worked a treat. 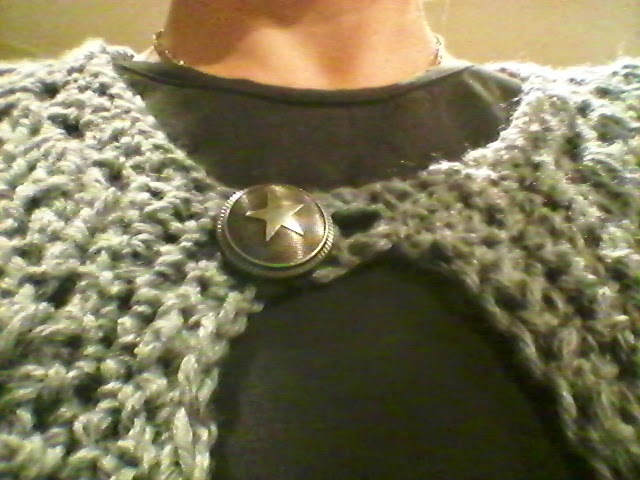 The finishing touch is a Lone Star button - what else? I live in Texas!